PAPUA New Guinea and Fiji will continue to play major roles in supporting other smaller island nations in the region in terms of development, Foreign Minister Rimbink Pato says. 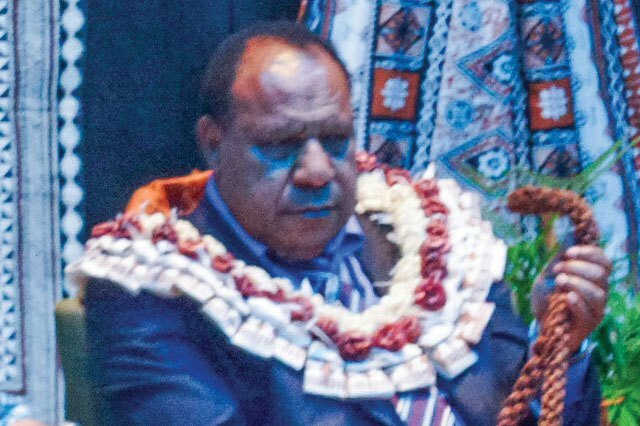 “Fiji and Papua New Guinea will be two of the biggest Melanesian brothers who look to the future, who look to the issues that concern us in our region,” Pato said. Fiji High Commissioner to PNG Esala Teleni said the two countries shared many similarities and common potentials in various fields. “Relationships and friendships of our people date back to history before our diplomatic history was formalised in the 1970s when the two countries gained their respective independence,” he said. Meanwhile, in congratulating Fiji on its 46th independence anniversary last Friday, Pato mentioned Fiji’s various representation in the global arena. “Let me take this opportunity at this point in time to congratulate Fiji for what it did for the Pacific and for our region when Fiji brought us gold in the Rio Games,” Pato said. “Thank you very much Fiji for showing where the Pacific is and what we are able to contribute globally in the area of sports. He said these achievemnet by Fiji had put the smaller Pacific nations on the world spot.